Fall is coming. And so is soup weather! Today I am thinking about one of my favorite soups to make. And I’m getting a hankering. How about you? 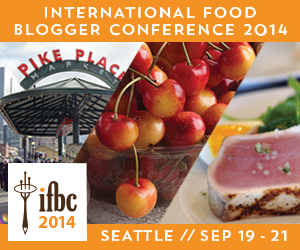 What do you think of when you feel Fall coming on? 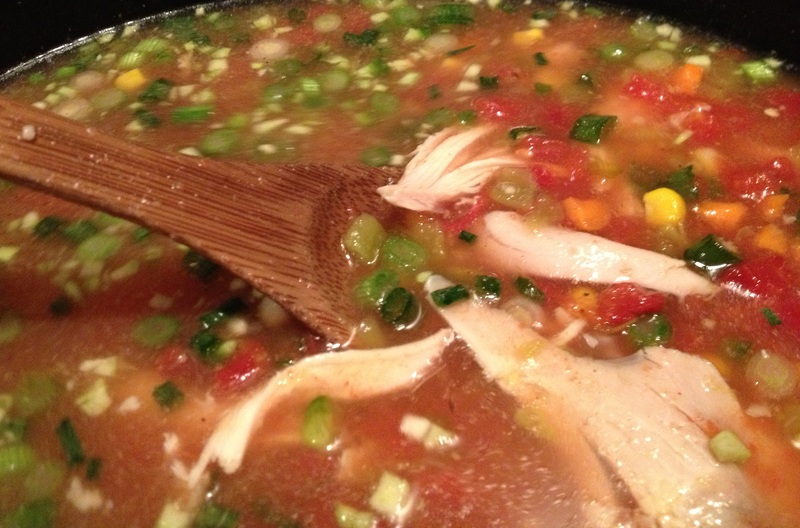 Simmer stock with tomatoes, lime juice, jalapeno, green chiles, garlic, green onion, carrot, corn, spices and hot sauce for 1 hour. 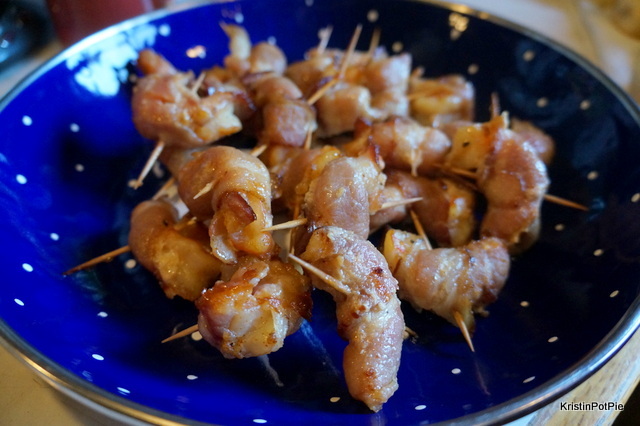 Add chicken (I use the meat of a rotisserie chicken from the deli at the grocery store, but you could use any leftover chicken you have on hand) and simmer for another 15 minutes. Fry tortilla strips in small batches until crispy – a few seconds for each batch. Serve with toppings on the side: shredded Mexican cheese, chopped cilantro, lime wedges, diced avocado, sour cream and crispy tortilla strips. I love this method of cooking fresh peppers. 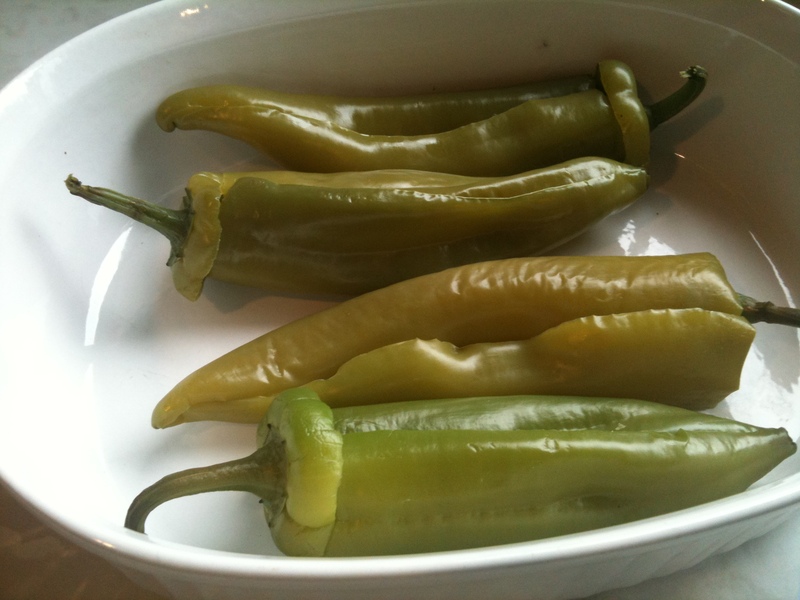 No doughy batter to mess with, and the peppers retain their nice green hue and a good bit of their snap. 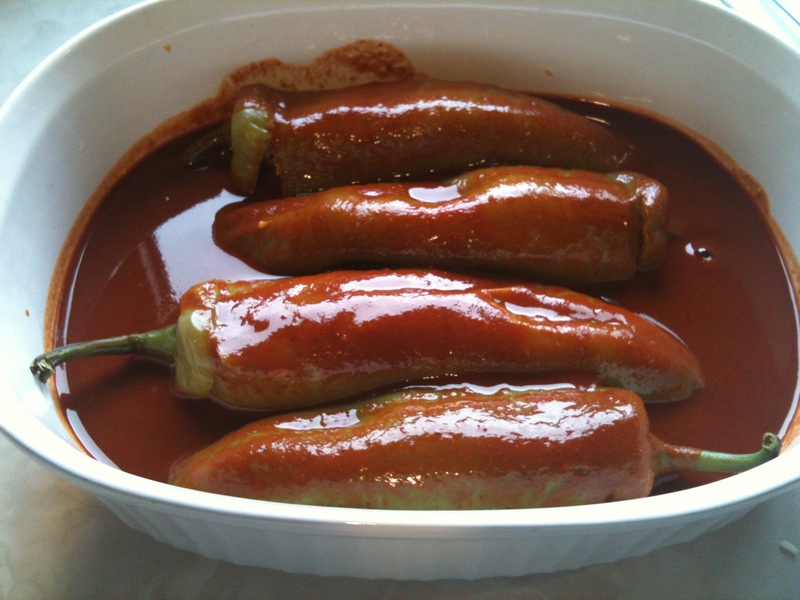 It’s also much easier because in parboiling the peppers the skins cook just enough that you don’t have to remove them. 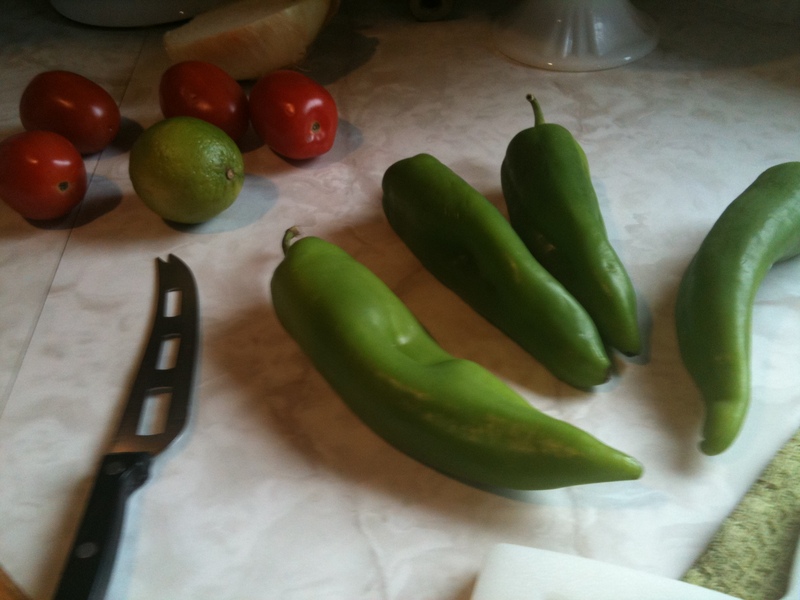 Just be sure not to over-boil the peppers or they will turn out mushy! 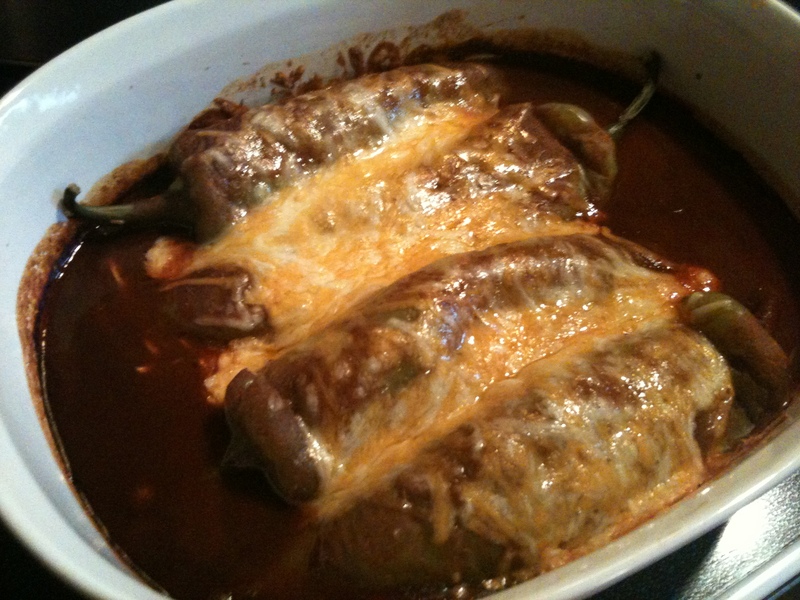 This Chile Relleno dish makes a perfect Cinco de Mayo meal served with some beans and Spanish Rice. 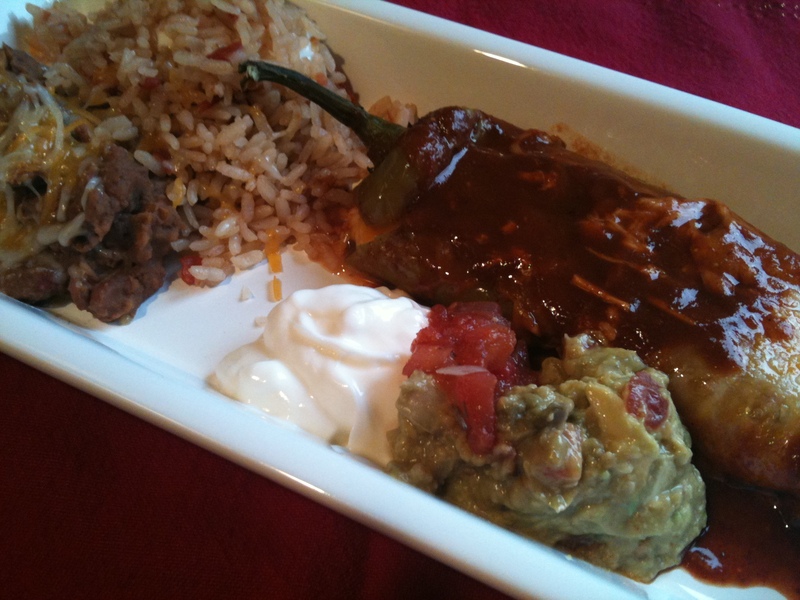 I created this recipe for Spanish Rice when I wanted to make some to go with my Chile Relleno but discovered that I didn’t have any packages of it in the cupboard. 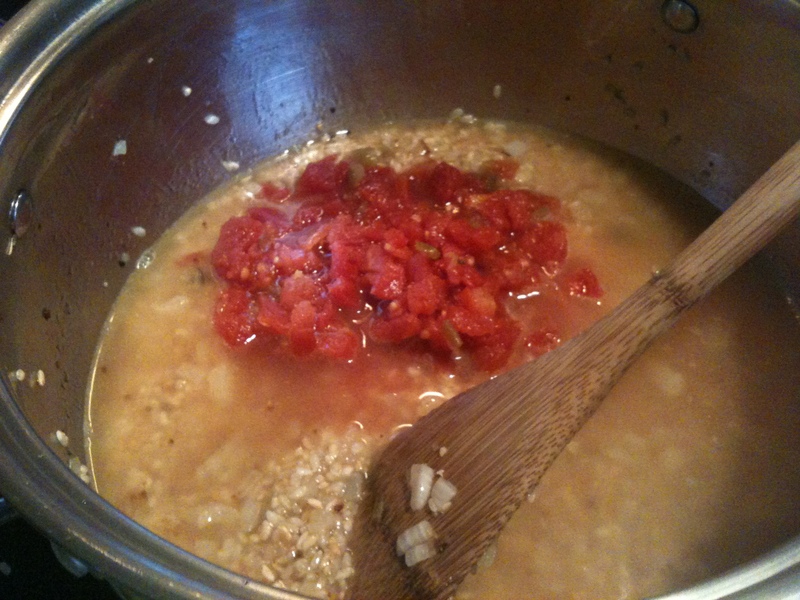 I did however have an extra can of Ro-Tel (you know, the cans of cut up tomatoes and green chilies?) that I had purchased for a Queso dip for a party at work but decided not to use. 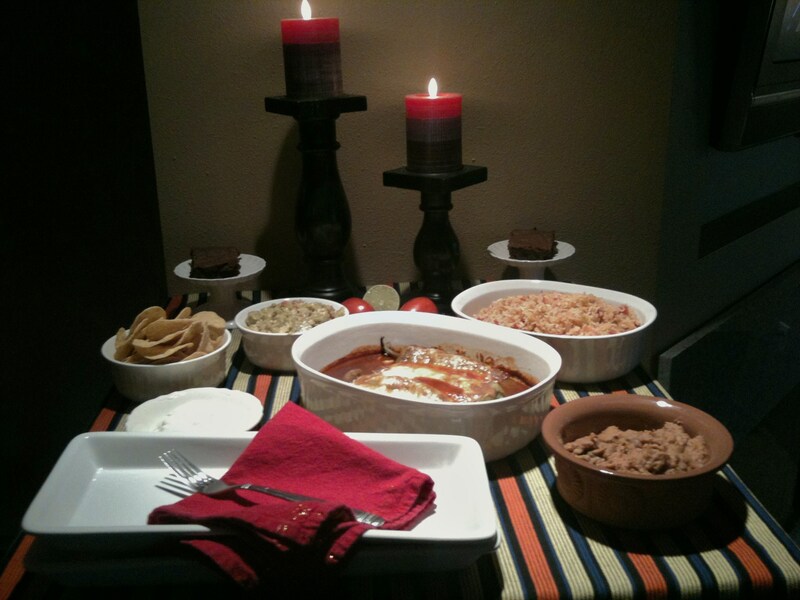 I didn’t have any other need for it as far as I could tell, but wouldn’t it work to make a nice Spanish Rice? 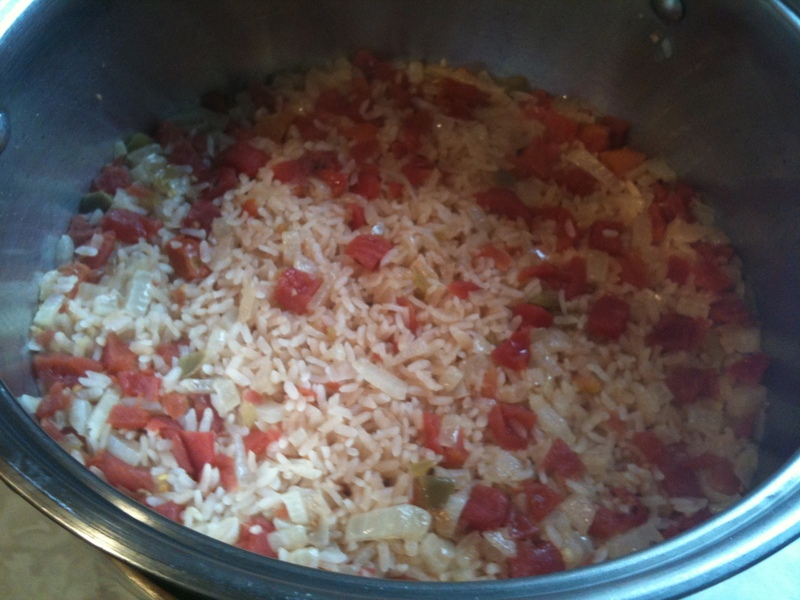 I did an online search for Ro-Tel Spanish Rice and based my recipe on this one from LiveStrong. I’ll never go back to pre-packaged! Rinse peppers. 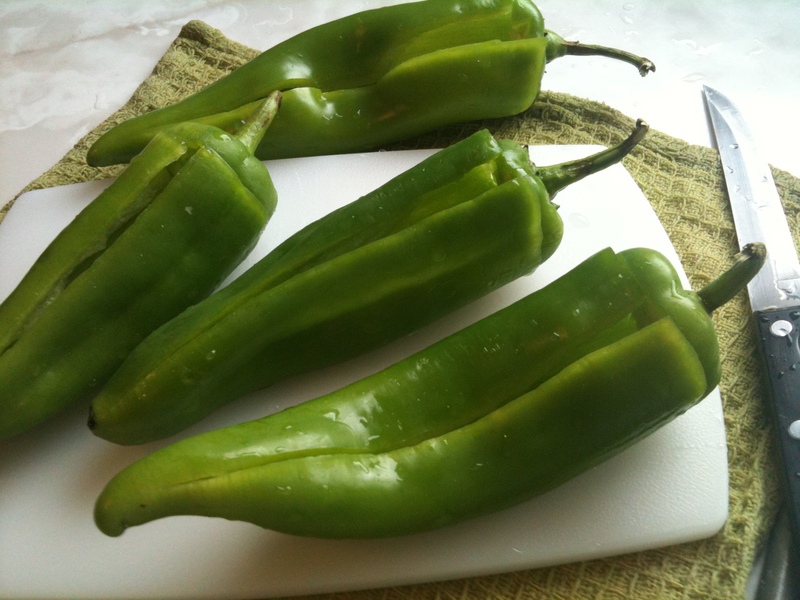 Cut a slit in each one lengthwise, and then cut around the top of the pepper but not all the way through into a T-shape. Clean out the seeds. 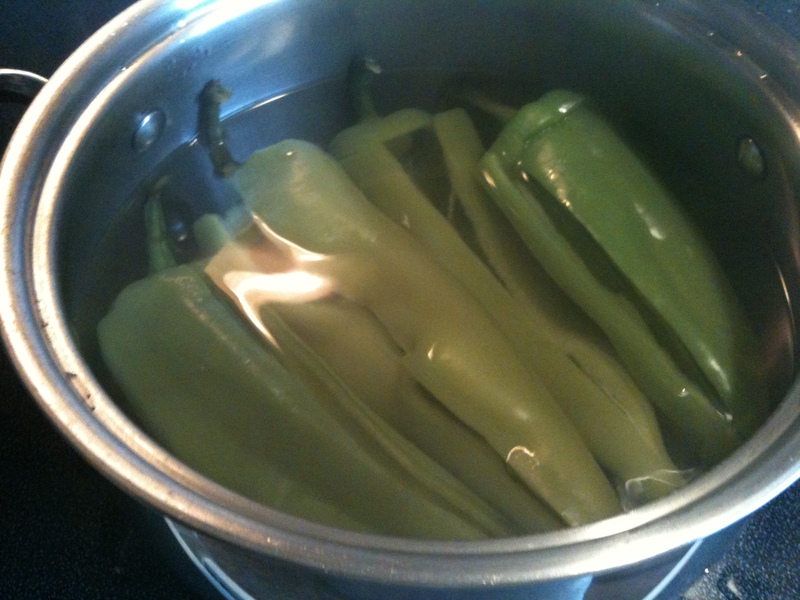 Bring a pot of water to a boil, then add the peppers and parboil them for 5 minutes. Drain the peppers well and let them cool before handling. 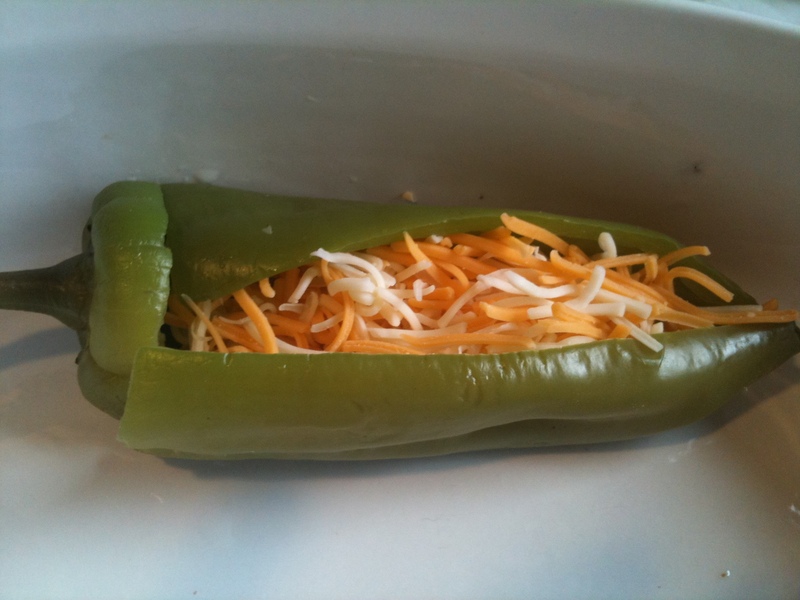 Gently stuff the peppers with the cheese and place in a single layer in a casserole with cut side down. Then top the dish with more shredded cheese. Bake at 350 degrees for 25 minutes. Let cool for five minutes before serving. Serve with my fresh guacamole found here! 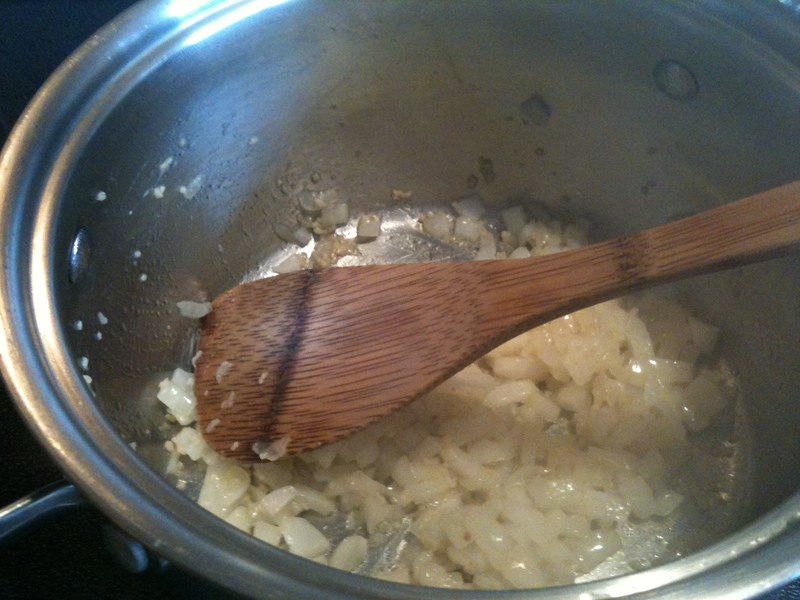 In a saucepan, saute onions, garlic and green peppers in some olive oil until just soft. 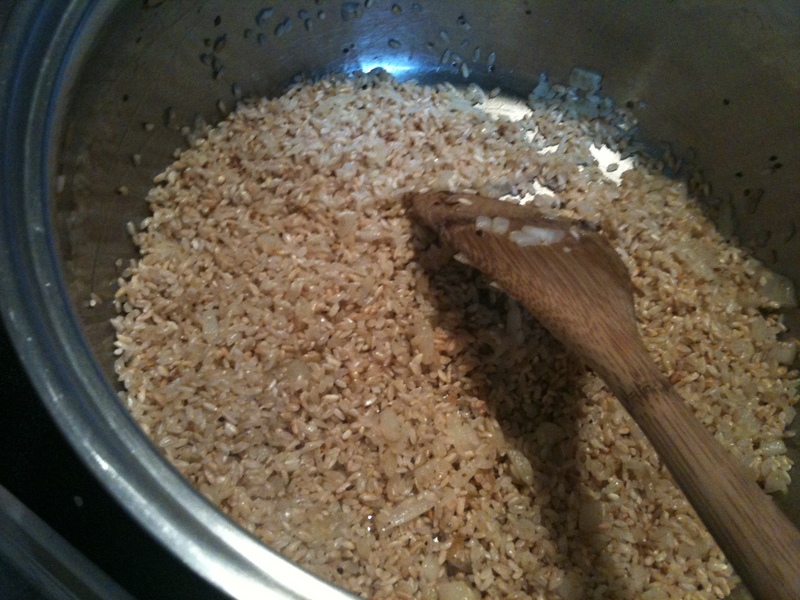 Then add rice and brown slightly. Add chicken broth and Ro-Tel then bring to a boil. 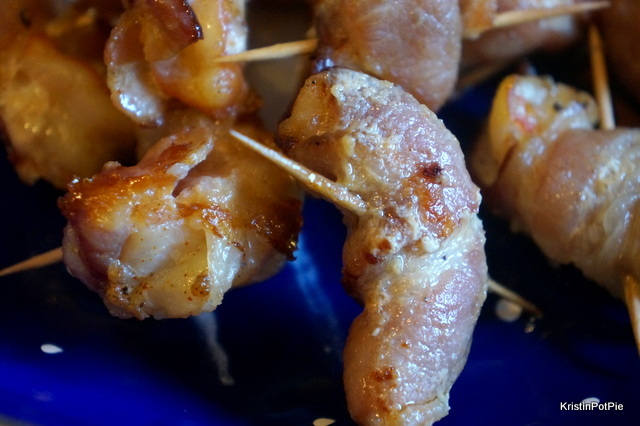 Turn heat down to a simmer, cover pan and cook for 20 minutes. And for dessert? How about a nice chocolatey (and spicy!) 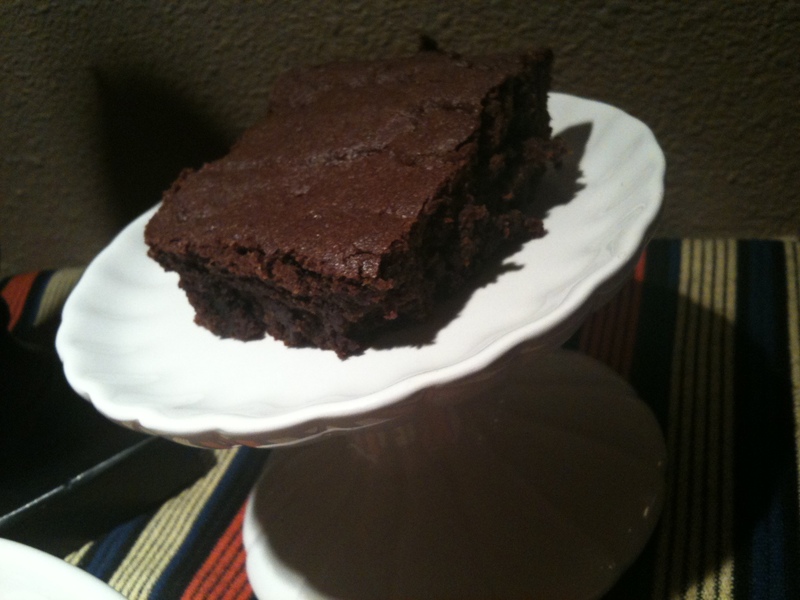 brownie? Make your favorite brownie recipe and spice it up with a 1/2 teaspoon of cinnamon, 1/4 teaspoon of chili powder and a 1/4 teaspoon of cayenne pepper.